Our premium cold weather companion. AEM054 is made from a woollen outer that has been laminated with Schoeller’s c_change™ membrane. This water and windproof membrane is adaptive to changing climates - becoming more breathable as temperatures rise and more heat retentive in colder conditions. 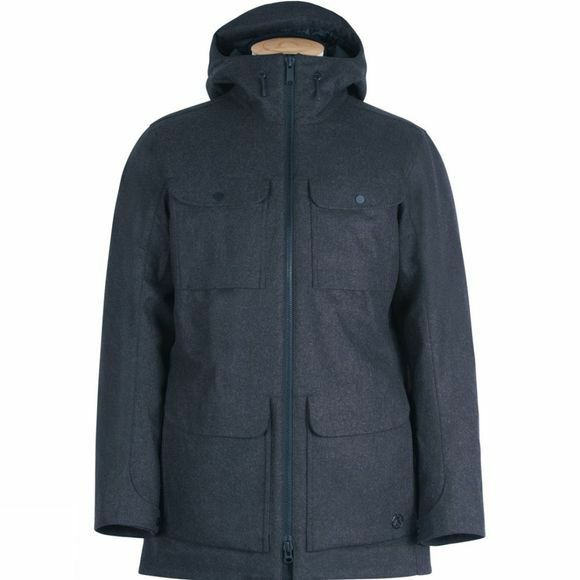 This parka is insulated with PrimaLoft® Silver Hi-Loft quilted to a Pertex® Microlight ECO lining.